Overworked Landscape. 51 x 180 in. 2016. Erasable site-specific installation for environmental conference Community, Culture, Conservation: Sustaining Landscapes and Livelihoods. 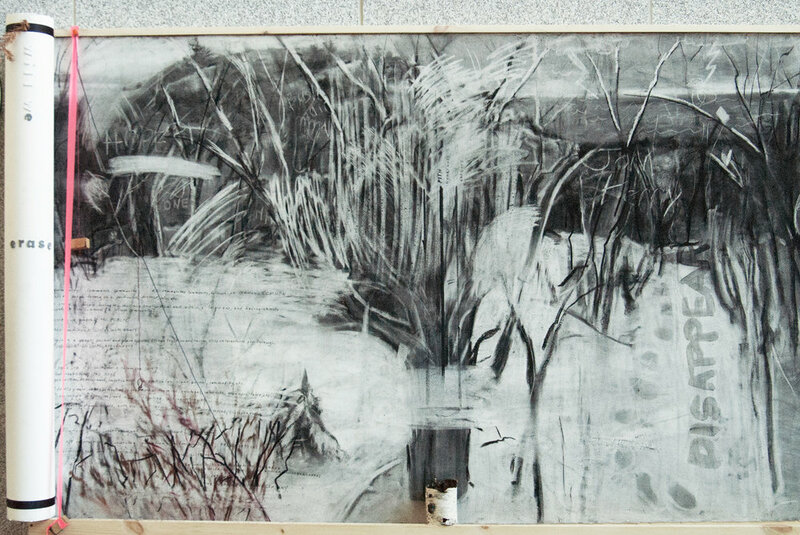 Our Interval/e: Changing Flood Plains, Erasing Trees. 42 x 336 in. 2017. Erasable installation for Waterbear Confabulum. Our Interval/e alleyway section erased. Our Interval/e streetside section installed. Erased streetside section of Our Interval/e. River Stories: a History of the Kennebec River first section, the deep past. Second section of River Stories, a History of the Kennebec River, the watershed environment. Third section of River Stories, a History of the Kennebec River, human past, present, future. River Stories Day event window installation, July 2018. 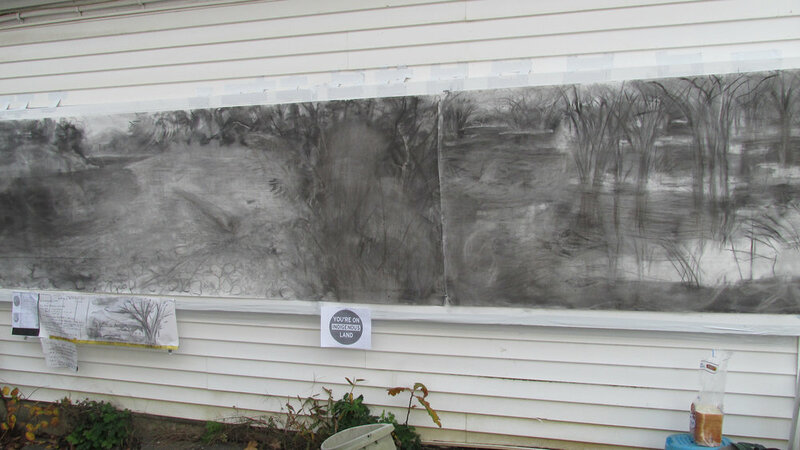 River Stories Day event at Common Street Gallery, erasing drawing with Hathaway shirt rags.